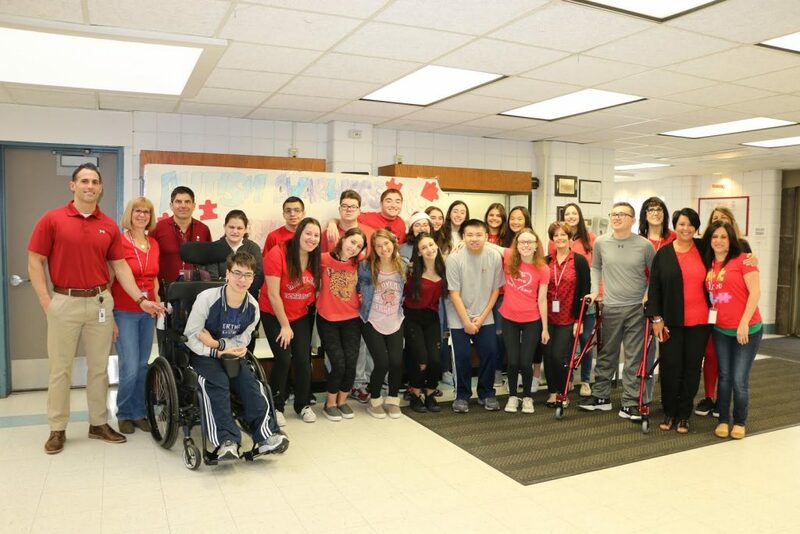 As part of their observance of Autism Awareness Month in April, students at Columbus Avenue School in the Freeport Public School District painted jigsaw puzzle pieces and glued them to ribbons. The ribbons featuring the puzzle pieces, a national symbol for autism awareness, will be sold and the funds raised will be donated to the Nassau Suffolk Autism Society of America. The activity provided students with an opportunity to continue developing their art skills and was aligned with Columbus’ ongoing commitment to altruism. Photo caption: Columbus Avenue School student Summer Bryan and teaching assistant Catherine Aliano participated in the puzzle piece coloring activity in observance of Autism Awareness Month.